We are no longer accepting new T-Mobile activations. Buy a sim card, choose your plan and activate! With Harbor you're in Business! With Harbor you're in Business! Need additional business plans? Call (888) 701-8816! Unlock your phone and get up in running on a better plan today! With Harbor, you step off the plane in 120+ countries and destinations and you've got unlimited data and texting. All at no extra charge. By the way, our reps can even speak Hebrew. Harbor is powered by T-Mobiles powerful nationwide 4G LTE network. Just check out our coverage map to see how we have you covered. Contacts are a thing of the thing of the past putting you in control. of high-speed data, it will simply be slowed until your next billing cycle. We heard you. Nobody likes overages, and neither do we. So they are gone for good. If you are traveling overseas, or in a location with poor reception, simply connect to a wifi signal which will mimic a cellphone tower. Your phone number can not be held hostage by your wireless carrier. When you join Harbor, we make bringing your number over real easy. ALL PLANS Unlimited international texting! All plans include the ability to text and browse the web from and to anywhere in the world with no limits! *Taxes and fees: Price excludes Taxes and fees which will apply and be shown on the order review page prior to processing your order. These Terms and Conditions ("T&Cs") are a legally binding agreement between you and HarborMobile, inc, a new jersey based company, including its affiliates, assignees, and agents ("HarborMobile"). Please read these T&Cs carefully. They cover important information about the HarborMobile mobile phone services provided to you (the "Service"); your phone, handset, device, SIM card, data card, or other equipment or third party device which may be used with our Service (the "Devices"); and the fees, taxes, and other charges you pay us ("Charges"). These T&Cs include, among other provisions, fees for late payments, limitations of liability, agreements regarding privacy, and resolution of disputes by arbitration instead of in court. HarborMobile reserves the right to change or modify any of these T&Cs at any time and in its sole discretion. HarborMobile will provide 14 days notice of any material changes by posting the revised T&Cs on our website, and will also attempt to provide direct notice to you by email or text. HarborMobile affiliate members are subject to additional terms as provided on the HarborMobile affiliate pages. These T&Cs do not alter the terms of the Affiliate Member Agreement, or any other agreement the user may have with HarborMobile. You and any authorized users on your account will have access to account information and may be able to make changes to the account. If you give your personal account validation information to someone, they can access and make changes to your account. Those changes will be binding on you. Authorized changes may require your agreement to new or revised T&Cs. You must provide accurate and truthful information when setting up an account, maintain security of the account and password, and you agree to notify HarborMobile of any security breaches associated with your account. You agree to take responsibility for all activities that occur under this account. 1. Acceptance. YOUR AGREEMENT WITH HARBORMOBILE STARTS WHEN YOU ACCEPT. You represent that you are at least 18 years old and you are legally authorized to enter into this Agreement. You accept your Agreement by doing any of the following: (a) giving us a written or electronic signature, clicking the acceptance box during the online enrollment process or telling us orally that you accept; (b) activating Service; (c) using your Service after you make a change or addition; (d) paying for the Service; (e) opening the box or package of a Device or sim card purchased from HarborMobile or any of its 3rd party partners or vendors ("HarborMobile Device") ; or (f) failing to activate Service within 30 days after the (a purchase of a HarborMobile Device, unless returned within the Cancellation Period (as defined in Section 5). IF YOU DON'T WANT TO ACCEPT, DON'T DO ANY OF THESE THINGS AND IMMEDIATELY DISCONTINUE USE OF THE SERVICE. 2. 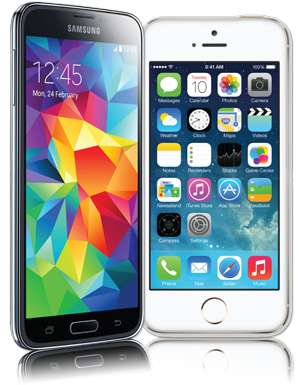 HarborMobile Service, Harbor Mobile is an Authorized T-Mobile Business Reseller. The Service includes wireless mobile phone service in the United States (including Alaska, Hawaii, Puerto Rico, and the U.S. Virgin Islands). This means the following: (a) voice service includes unlimited incoming calls and unlimited outgoing calls to any domestic U.S. phone number from inside the United States; (b) unlimited incoming text messages and unlimited outgoing texts to any domestic and select international mobile numbers (included international countries are listed below) from inside the United States, and picture and video messages within the United States; and (c) no additional charges regardless of the amount of data used within the United States. The Service may be offered at differing prices under different Service Plans, depending on the data speed you desire and other factors. Date of speeds will reduce when the amount of data used exceeds the amount designated in your Service Plan. Speeds reduce to a 2G data experience in these situations. In addition, when roaming domestically, speeds are usually limited to up to 2Gspeeds. Data usage is reset monthly on varied dates and does not necessarily matche the monthly billing date for that line. To know when this date is, contact Harbor by email, phone or chat. 3. Service Availability. Coverage maps only approximate our anticipated wireless coverage area outdoors; actual Service area, coverage and quality may vary and change without notice depending on a variety of factors including network capacity, terrain and weather. Outages and interruptions in Service may occur, and speed of Service varies. You agree that we are not liable for problems relating to Service availability or quality. 4. Monthly Fees and Payment. HarborMobile provides the Service for a flat fee on a monthly, pay-in-advance basis under various Service Plans. Service begins when you pay the monthly payment for the first month of Service, which includes the HarborMobile Mobile Service Fee and the taxes and other assessments described in Section 6 and on our website at HarborMobile.com. Subsequent monthly payments are due by your monthly payment date, which occurs on each monthly anniversary of the date on which the first monthly payment is made. If you fail to make your monthly payment when it is due, your Service will be suspended until the payment is received. If you fail to make your monthly payment within 30 days after it is due, your Service will be terminated and your phone number will be lost. Fees are not refunded or prorated if Service is terminated before your next payment date. If your Service is terminated, your account will be cancelled and you will lose your HarborMobile mobile phone number. You will be required to re-enroll as a new customer in order to resume Service. If your Service is suspended for non-payment your monthly payment date will not change (for example, if your original billing cycle started on the 1st and you reactivate Service on the 15th day of the month your billing cycle will remain on the 1st). In the event that your Account is terminated, you will be required to sign up as a new customer and we may not be able to offer you your existing number. You may change your payment method or other payment options by visiting the Account tab when you log in to HarborMobile.com. Usage for each line is available upon requeat. 5. Cancellation and Returns. Cancellation of Service: You can cancel a new line of Service WITHIN 14 DAYS of enrolling for Mobile Service, or 30 days in California (the "Cancellation Period"). Device Refunds and Restocking Fees: To return any HarborMobile Device you acquired at the time of enrollment, you must return the device or sim in its package with all original contents, undamaged and in good working condition with no material alterations to the device's hardware or software. If you return your device in a damaged, altered or destroyed condition, we may decline to accept the return of the device or charge you the cost of repairing the device, plus any shipping and handling charges. 6. Taxes, Fees, and Surcharges. You agree to pay all taxes, fees and surcharges (the "Fees") imposed by governments or governmental entities on you or us as a result of our providing the Service to you. We may not give advance notice of changes in Fees. To determine Fees, we will use the street address you identified as your Place of Primary Use ("PPU"). If you did not identify the correct PPU, or if you provided an address (such as a PO box) that is not a recognized street address, you may be assigned a default location for tax purposes. Any dispute of the jurisdiction assigned must be submitted within 60 days of the billing in which the Fees were assessed. Fees include (a) Government Taxes & Fees.These Fees are typically imposed by jurisdictions directly on you, the user of the telecommunication services. Such Fees include but are not limited to sales tax; and (b) Other Surcharges. These surcharges include, but are not limited to taxes that HarborMobile incurs to provide the Service but are not government taxes or fees imposed directly on our customers that we must collect by law. Examples include, but are not limited to, federal or state Universal Service fees, regulatory fees, excise taxes and gross receipts taxes. These surcharges will apply whether or not you directly benefit from the programs, activities or services included in the surcharge. The components and amounts of the Fees are subject to change without notice. 7. Unpaid Charges. If we do not receive payment in full for a HarborMobile Device or sim, for the Service, or for any other amount owed to us by you (for example, in the case of a credit card chargeback in which a charge is disputed after you have received a HarborMobile Device from us), you may be charged a late fee of the greater of 1.5% per month (18% annually) or $5 per month, subject to the maximum allowed by law. We may use all lawful means to collect the amount owed and seek the return of any Device or service for which payment has not been received. If you fail to pay fees or any other amounts owed to HarborMobile under this agreement and HarborMobile refers your accounts(s) to a third party for collection, then HarborMobile will also charge you a collection fee at the maximum percentage permitted by applicable law, but not to exceed 18%, to cover HarborMobile's collection-related costs. If we accept late or partial payments, we do not waive our right to collect all amounts that you owe, including late fees. If any payment is dishonored or returned for any reason, we may charge you the maximum amount allowed under applicable law. 8. Your Right to Dispute Charges. Unless otherwise provided by law, you agree to notify us of any dispute regarding amounts owed to us within 60 days after the date you first incur the disputed amount. If you do not notify us of your dispute in writing within this time period, you may not pursue a claim in arbitration or in court. If you accept a credit, refund or other compensation or benefit to resolve a disputed amount, you agree that the issue is fully and finally resolved. For unresolved disputes see Section 26. To contact or notify us, see Section 15. If we have charged your registered payment method for a charge that we deem is authorized and valid under these Terms, and your credit card company or other payment provider subsequently withholds or revokes such payment to us because the charge has been disputed by you (a "Chargeback"), we reserve the right to suspend your access to the affected Services until the Chargeback is reversed or in the case of a billing dispute, the billing dispute is resolved as set forth in these Terms. 9. Our Rights to Make Changes. Your Service is subject to our business policies, practices, and procedures, which we can change without notice. AS PROVIDED ABOVE, WE CAN CHANGE ANY TERMS IN THE AGREEMENT AT ANY TIME. 10. International Long-Distance Calls. Although Harbor Mobile has blocked long distance calling and text messaging, Canada and certain other territories cannot be blocked and you are there for fully responsible for any charges that are incurred. Harbor Mobile reserves the right to pursue as well as bill the credit card you have on file. 11. Your Phone Number, Your Device, and Compatibility with Other Networks. Except for any legal right you may have to port or transfer your phone number, you will acquire no ownership rights in any number assigned to you. The wireless telecommunications networks used to provide the Service (the "HarborMobile Network") are owned and operated by other licensed entities, not HarborMobile. Your HarborMobile Devices may not be compatible with the network and services provided by another service provider. Devices not purchased through HarborMobile or its affiliates ("Non-HarborMobile Devices") must compatible with the HarborMobile Network or T-Mobile for use with the Services, and such devices may not work on the HarborMobile Network. A HarborMobile Device is approved by HarborMobile only for use with HarborMobile Service. HarborMobile reserves the right to prevent a Non-HarborMobile Device from being used on the HarborMobile. Please note that in order to port out your number, your account must be in active status (not closed or suspended). Network. At times we may remotely change software, systems, applications, features or programming on your Device without notice to address security, safety or other issues that impact the HarborMobile network or your Device. These changes will modify your Device and may affect or erase data you have stored on your Device, the way you have programmed your Device, or the way you use your Device. We may offer you changes to systems, applications, features or programming remotely to your Device; you will not be able to use your Device during the installation of the changes even for emergencies. 12. Roaming. Your Device may connect to another provider's network ("Off-Net") even when you are within the HarborMobile coverage area. You must use your Device predominantly within the Harbor Mobile Network coverage area. If your Off-Net voice usage or messaging usage exceeds an acceptable level, it may be necessary to terminate your service. We may terminate your Service in our discretion and without prior notice if you no longer reside in a Harbor Mobile Network coverage area, if your Off-Net usage makes it uneconomical for HarborMobile to provide Service to you, or if required under HarborMobile's arrangements with its service providers. For data use while roaming, the limit is 50mb. 13. Important Emergency and 9-1-1 Information. When making a 9-1-1 call, always state the nature of your emergency and provide both your location and phone number, as the operator may not automatically receive this information. HarborMobile is not responsible for failures to connect or complete 9-1-1 calls or if inaccurate location information is provided. 9-1-1 service may not be available or reliable and your ability to receive emergency services may be impeded. We may use a variety of information and methods to determine the location of a 9-1-1 call, including Global Positioning Satellites, or our wireless network. Even with this information, an emergency operator may not be able to locate you in order to provide emergency services. Other third party entities are involved in connecting a 9-1-1 call and HarborMobile does not determine the public safety agency to which your 9-1-1 call is routed. If you are porting a phone number to or from us, we may not be able to provide you with some Services, such as 9-1-1 location services, while the port is being implemented. You may contact our Member Support department by emailing support@HarborMobile.com, by calling 1-888-701-8816, or by writing to: HarborMobile Support, 1017 Walnut St. Roselle, NJ 07203. Notices from you to us are considered delivered when you send an email or 3 days after mailing to the addresses above. To begin arbitration or any other legal proceeding, you must serve our registered agent. Our registered agent is Mayo and Russ and can be contacted at 1-732-613-3100. 17. Misuse of Service or Device – Your Representation. By activating or renewing Service with HarborMobile, you agree that you do so because you want Service from HarborMobile and not for any other purposes. You agree not to misuse the Service or Device, including but not limited to: (a) reselling or rebilling our Service; (b) using the Service or Device to engage in unlawful activity, or in conduct that adversely affects our customers, employees, business, or any other person, or that interferes with our operations, network, reputation, or ability to provide quality service, including but not limited to the generation or dissemination of viruses, malware or "denial of service" attacks; (c) using the Service as a substitute or backup for private lines or dedicated data connections; (d) tampering with or modifying your HarborMobile Device; (e) "spamming" or engaging in other abusive or unsolicited communications, or any other mass, automated voice or data communication for commercial or marketing purposes; (f) reselling HarborMobile Devices for profit, except as expressly authorized under, and in the context of, a duly executed Agreement between you and HarborMobile, or tampering with, reprogramming or altering HarborMobile Devices for the purpose of reselling the Service; (g) using the Service in connection with server devices or host computer applications, including continuous Web camera posts or broadcasts, automatic data feeds, automated machine-to-machine connections or peer-to-peer (P2P) filesharing applications that are broadcast to multiple servers or recipients, "bots" or similar routines that could disrupt net user groups or email use by others or other applications that denigrate network capacity or functionality; (h) accessing, or attempting to access without authority, the information, accounts or devices of others, or to penetrate, or attempt to penetrate, HarborMobile's or another entity's network or systems; (i) running software or other devices that maintain continuously active Internet connections when a computer's connection would otherwise be idle, or "keep alive" functions (e.g. using the Service for Web broadcasting, operating servers, telemetry devices and/or supervisory control and data acquisition devices); (j) using your Device as a "hotspot," or modem, or tethering your Device to a personal computer or other hardware outside of the included tmobile hotspot application on supported devices; or (k) assisting or facilitating anyone else in any of the above activities. Unless authorized by HarborMobile, you agree that you will not install, deploy, or use any regeneration equipment or similar mechanism (for example, a repeater or signal booster) to originate, amplify, enhance, retransmit or regenerate a transmitted RF signal. You agree that a violation of this section harms HarborMobile, and cannot be fully redressed by money damages, and that if such a violation occurs HarborMobile shall be entitled to immediate injunctive relief in addition to all other remedies available. SIM Cards: You agree to safeguard your SIM card and not allow any unauthorized person to use your SIM card. You agree not to alter, bypass, copy, deactivate, remove, reverse-engineer, or otherwise circumvent, clone, or reproduce the encoded information stored on, or the encryption tools of, your SIM card in any shape or fashion, or through any third party. Any usage contrary to this paragraph may result in immediate Service termination. 19. Our Rights to Limit or End Service or the Agreement. WE MAY LIMIT, SUSPEND OR TERMINATE YOUR SERVICE OR THESE T&CS WITHOUT NOTICE FOR ANY REASON, including without limitation, if you, any user of your Device, or any user on your account: (a) breaches the T&Cs; (b) provides inaccurate information or information we can't verify; (c) lives in an area where we don't provide Service or your Off-Net usage makes it uneconomical for HarborMobile to provide Service to you (see Section 12); (d) transfers Service to another person without our consent; (e) becomes insolvent, goes bankrupt or threatens bankruptcy (except as prohibited by law); (f) misuses your Service or Device as described in Section 17; (g) causes HarborMobile to breach an agreement with any wireless carrier or to incur any material added expense; or (h) use(s) your Service or Device in a manner that is excessive, unusually burdensome, or unprofitable to us. We may impose usage or other limits to your Service, suspend your Service, or block certain types of calls, messages or sessions (such as access to an international long-distance provider), in our or tmobile sole discretion and without notice. If we limit, suspend or terminate your Service and later reinstate your Service, you may be charged a fee. If your Service or account is limited, suspended or terminated and then reinstated, you will be charged a reactivation upon reenrollment. 20. Intellectual Property. You agree not to infringe, misappropriate, dilute or otherwise violate the intellectual property rights of HarborMobile or any third party. Except for a limited license to use the Services and except as expressly authorized under a duly executed Social Member Agreement between you and HarborMobile, your purchase of Services and Devices does not grant you any license to copy, distribute, modify, reverse engineer, download, redistribute, or resell the intellectual property of HarborMobile or others related to the Services and Devices; this intellectual property may be used only with the Service unless expressly authorized by HarborMobile. You agree that a violation of this section harms HarborMobile, and cannot be fully redressed by money damages, and that if such a violation occurs HarborMobile shall be entitled to immediate injunctive relief in addition to all other remedies available. 21. Digital Millennium Copyright Act ("DMCA") Notice. If you believe that material available through our Services or Devices infringes your copyright, notify us as provide in Section 15. After receiving notice, we may remove or disable access to any infringing material as provided for in the DMCA. 23. Disclaimer of Warranties. EXCEPT FOR ANY WRITTEN WARRANTY THAT MAY BE PROVIDED WITH A HARBORMOBILE DEVICE YOU PURCHASE FROM US, AND TO THE EXTENT PERMITTED BY LAW, THE SERVICES AND DEVICES ARE PROVIDED ON AN "AS IS" AND "WITH ALL FAULTS" BASIS AND WITHOUT WARRANTIES OF ANY KIND. WE MAKE NO REPRESENTATIONS OR WARRANTIES, EXPRESS OR IMPLIED, INCLUDING ANY IMPLIED WARRANTY OF MERCHANTABILITY OR FITNESS FOR A PARTICULAR PURPOSE CONCERNING YOUR SERVICE OR YOUR DEVICE. WE CANNOT PROMISE UNINTERRUPTED OR ERROR-FREE SERVICE AND DO NOT AUTHORIZE ANYONE TO MAKE ANY WARRANTIES ON OUR BEHALF. WE DO NOT GUARANTEE THAT YOUR COMMUNICATIONS WILL BE PRIVATE OR SECURE; IT IS ILLEGAL FOR UNAUTHORIZED PEOPLE TO INTERCEPT YOUR COMMUNICATIONS, BUT SUCH INTERCEPTIONS CAN OCCUR. SOME JURISDICTIONS DO NOT ALLOW THE DISCLAIMER OF IMPLIED TERMS IN CONTRACTS WITH CONSUMER, SO SOME OR ALL OF THE DISCLAIMERS IN THIS SECTION MAY NOT APPLY TO YOU. 24. Waivers and Limitations of Liability. UNLESS PROHIBITED BY LAW, WE EACH AGREE TO LIMIT CLAIMS FOR DAMAGES OR OTHER MONETARY RELIEF AGAINST EACH OTHER TO DIRECT AND ACTUAL DAMAGES REGARDLESS OF THE THEORY OF LIABILITY. THIS MEANS THAT NEITHER OF US WILL SEEK ANY INDIRECT, SPECIAL, CONSEQUENTIAL, TREBLE, OR PUNITIVE DAMAGES FROM THE OTHER. THIS LIMITATION SPECIFICALLY INCLUDES LACK OF RECOVERY FOR LOSS OF ANTICIPATED BENEFITS OR MONEY, LOSS OF DATA, ANY DOWNTIME LOSS, OR ANY OTHER SIMILAR DAMAGES YOU MAY SUFFER TO YOURSELF OR YOUR PROPERTY. THIS LIMITATION AND WAIVER ALSO APPLIES TO ANY CLAIMS YOU MAY BRING AGAINST ANY OTHER PARTY TO THE EXTENT THAT WE WOULD BE REQUIRED TO INDEMNIFY THAT PARTY FOR SUCH CLAIM. YOU AGREE WE ARE NOT LIABLE FOR PROBLEMS CAUSED BY YOU OR A THIRD PARTY, OR FOR PROBLEMS CAUSED BY HARBORMOBILE'S SERVICE, DEVICE, OR ANY OTHER ASPECT OF ITS BUSINESS. EXCEPT TO THE EXTENT PROHIBITED BY LAW, ALL CLAIMS MUST BE BROUGHT WITHIN 2 YEARS OF THE DATE THE CLAIM ARISES. SOME JURISDICTIONS DO NOT ALLOW SUCH LIMITS ON LIABILITY SO THESE LIMITS MAY NOT APPLY TO YOU. 25. Indemnification. You agree to defend, indemnify, and hold us harmless from any claims arising out of use of the Service or Devices, breach of the T&Cs and all representations and warranties herein, or violation of any laws or regulations or the rights of any third party by you or any person on your account or that you allow to use your Service or Device. so that the Federal Arbitration Act and federal arbitration law apply. THERE IS NO JUDGE OR JURY IN ARBITRATION, AND COURT REVIEW OF AN ARBITRATION AWARD IS LIMITED. THE ARBITRATOR MUST FOLLOW THIS AGREEMENT. For all disputes, whether pursued in court or arbitration, you must first give us an opportunity to resolve your claim by sending us a written description of your claim as provided in Section 15 below. We each agree to negotiate your claim in good faith. If we are unable to resolve the claim within 60 days after we receive this claim description, you may pursue your claim in arbitration. We each agree that if you fail to pay amounts due on a timely basis, we may assign your account for collection, and the collection agency may pursue, in small claims court, claims limited strictly to the collection of the past due amounts and any interest or cost of collection permitted by law or the Agreement. Either you or we may start arbitration proceedings. You must send a letter requesting arbitration and describing your claim to our registered agent as provided in Section 15 to begin arbitration. The American Arbitration Association (AAA) will arbitrate all disputes. For claims of less than $75,000, the AAA's Supplementary Procedures for Consumer-Related Disputes will apply; for claims over $75,000, the AAA's Commercial Arbitration Rules will apply. The AAA rules are available at www.adr.org or by calling 1-800-7787879. All fees and expenses of arbitration will be divided between you and HarborMobile in accordance with the AAA Rules, except that HarborMobile will reimburse you for the amount of the filing fee in the event you prevail in the arbitration. Each party will bear the expenses of its own counsel, experts, witnesses, and preparation and presentation of evidence. Except as otherwise provided in these T&Cs, an arbitrator may award on an individual basis any relief that would be available in a court, including injunctive or declaratory relief and attorneys' fees. If for any reason this arbitration provision is deemed inapplicable or invalid, or to the extent this arbitration provision allows for litigation of disputes in court, you waive to the fullest extent permitted by law any claims for punitive or exemplary damages. Unless HarborMobile and you agree otherwise, the location of any arbitration shall be Seattle, Washington. Except where prohibited by law, HarborMobile and you agree that no arbitrator has the authority to award punitive damages or any other damages not measured by the prevailing party's actual damages. Neither you nor HarborMobile shall disclose the existence, contents, or results of any arbitration except to the extent required by law. Judgment on the award rendered may be entered by any court having jurisdiction thereof. CLASS ACTION WAIVER. WE EACH AGREE THAT ANY PROCEEDINGS WILL BE CONDUCTED ONLY ON AN INDIVIDUAL BASIS AND NOT IN A CLASS OR REPRESENTATIVE ACTION OR AS A MEMBER IN A CLASS, CONSOLIDATED OR REPRESENTATIVE ACTION. If a court or arbitrator determines in an action between you and us that this Class Action Waiver is unenforceable, the arbitration agreement will be void as to you. JURY TRIAL WAIVER. If a claim proceeds in court rather than through arbitration, WE EACH WAIVE ANY RIGHT TO A JURY TRIAL TO THE FULLEST EXTENT PERMITTED BY LAW. 27. Enforceability and Assignment. A waiver of any part of the Agreement in one instance is not a waiver of any other part or any other instance and must be expressly provided in writing. If we don't enforce our rights under any provisions of the Agreement, we may still require strict compliance in the future. Except as provided in Section 26, if any part of the Agreement is held invalid that part may be severed from the Agreement. You may not assign the Agreement or any of your rights or duties under it without our written consent. We may assign all or part of the Agreement or your debts to us without notice. The Agreement is the entire agreement between us and defines all of the rights you have with respect to your Service or Device, except as provided by law, and you cannot rely on any other documents or statements by any sales, service representatives, HarborMobile Members, tmobike or other parties. If you purchase a Device, services or content from a third party, you may have a separate agreement with the third party; HarborMobile is not a party to that agreement. The original version of these T&Cs is in English. To the extent there are conflicts between the English version and any other language version, the English version will control. Any determination made by us pursuant to these T&Cs, shall be in our sole reasonable discretion. The following paragraphs continue after termination of our T&Cs with you: 2, 4, 5, 6, 7, 8, 12, 14, 15, 16, 17, 20, 22, 23, 24, 25, 26, 27 and 28. 28. Choice of Law. These T&Cs are governed by the Federal Arbitration Act, applicable federal law, and the laws of the state of Washington without regard to the conflicts of laws rules of that state. Foreign laws do not apply. Arbitration or court proceedings must be in Middlesex County, New Jersey. If any provision of the T&Cs is invalid under the law of a particular jurisdiction, that provision will not apply in that jurisdiction. HarborMobile and the HarborMobile logo are registered trademarks of HarborMobile, INC, a new jersey corporation. 2) Calls to the Virgin Islands (up to $1.99/min, plus 5% taxes and fees, should you not have the stateside international calling plan). 3) Calls to 411 ($1.99/call, plus 5% taxes and fees). 6) Downloading apps and usage of services (such as name ID or Rhapsody). 7) Talk, text, or data usage while on a cruise or ferry (rates vary by cruise and destination, plus 5% taxes and fees). © 2014 HarborMobile, INC. All rights reserved. Updated August 1, 2018. Automatic coverage in over 210+ countries and destinations. Unlimited international data coverage and texting are included with all plans at no additional charge. It's just 35 cents per minute for calls to mobile devices and landlines. Additional charges apply in excluded destinations; included destinations subject to change. Taxes additional; usage taxed in some countries. Voice and text features for direct communications between 2 people. Communications with premium-rate (e.g., 900, entertainment, high-rate helpline) numbers not included and may incur additional charges. Calls over cellular while roaming outside of the USA will be charged at $0.35 per minute (no charge for Wi-Fi calls to U.S.) Coverage not available in some areas; we are not responsible for the performance of roaming partners' networks. Standard speeds approx. 128 Kbps. No tethering.